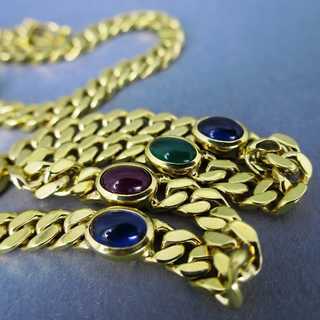 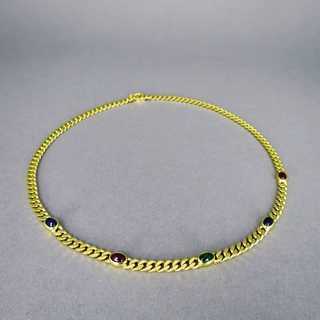 Elegant chain collier with precious stones. 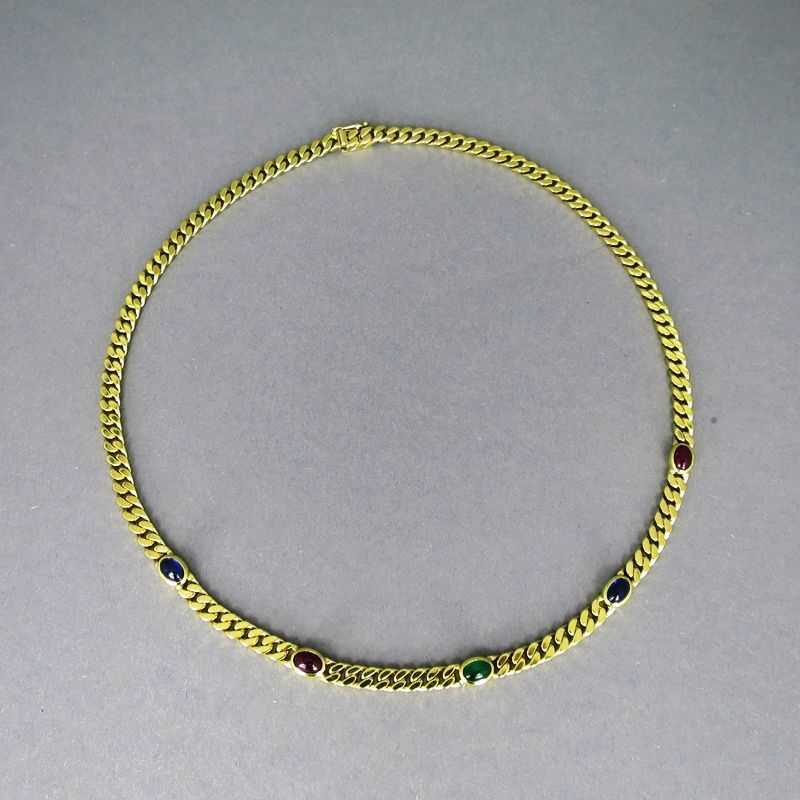 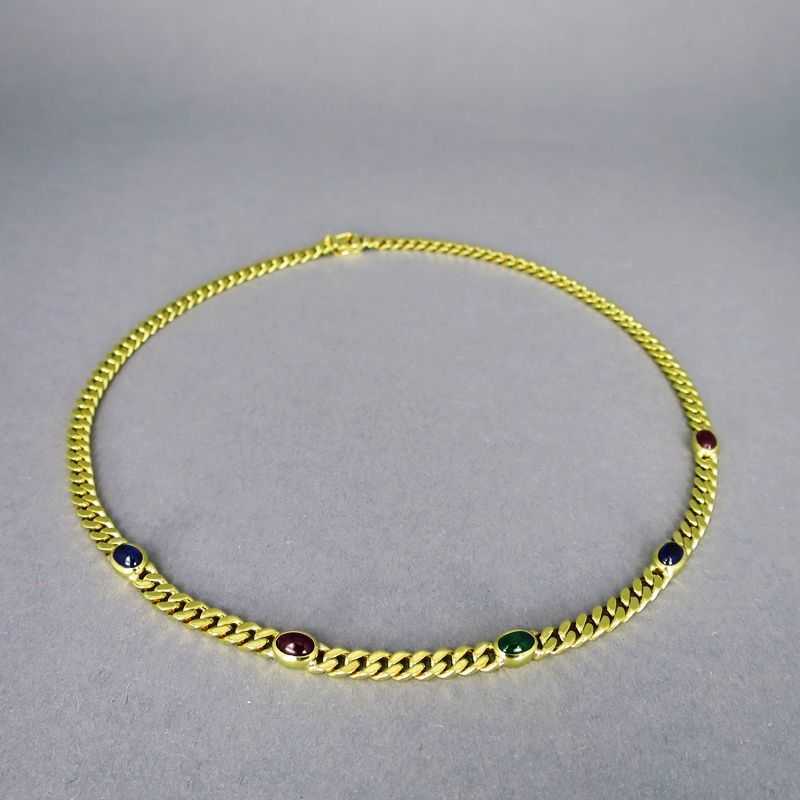 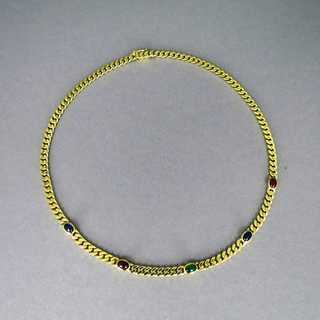 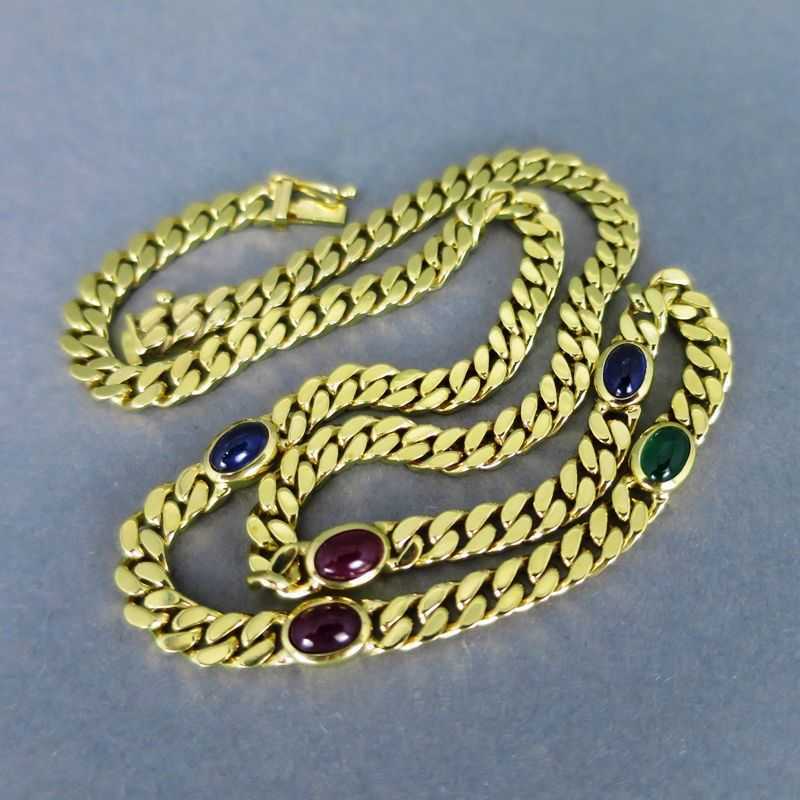 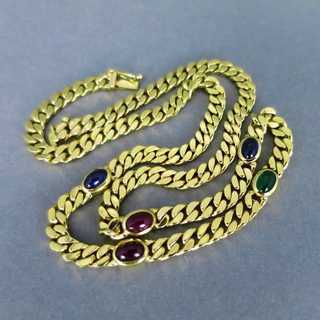 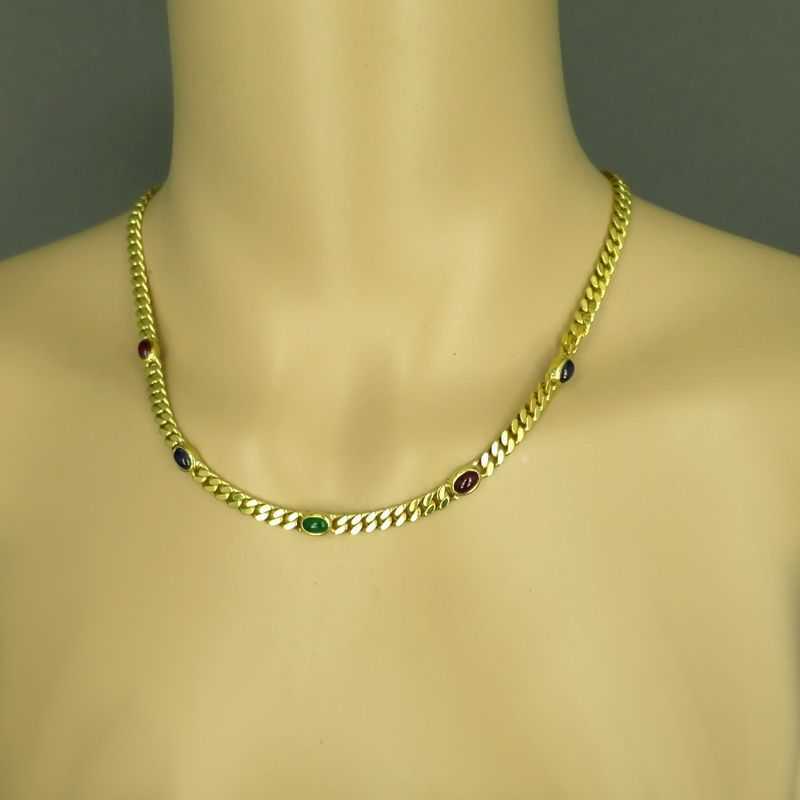 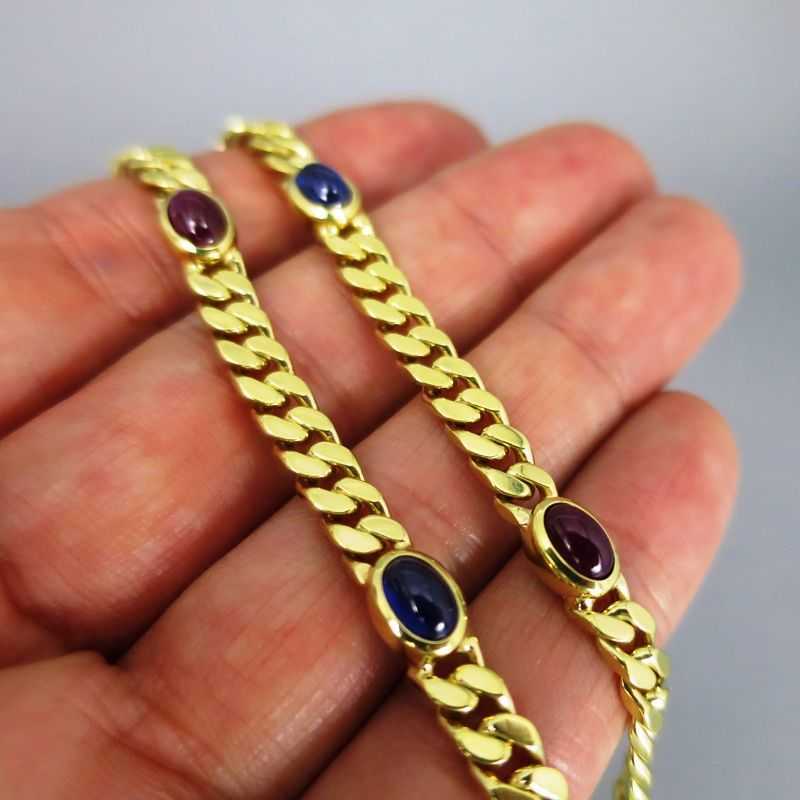 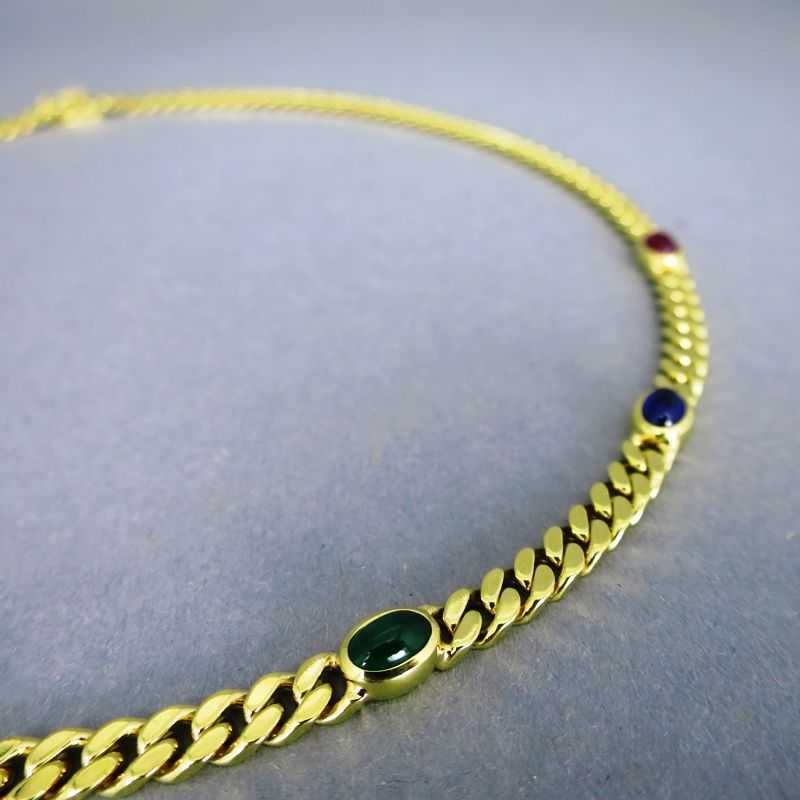 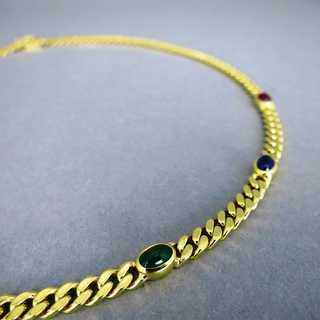 The collier is made from thick curb chain, decorated with oval links, filled with oval precious stones - two rubies, two sapphires and one emerald - in bezel settings. 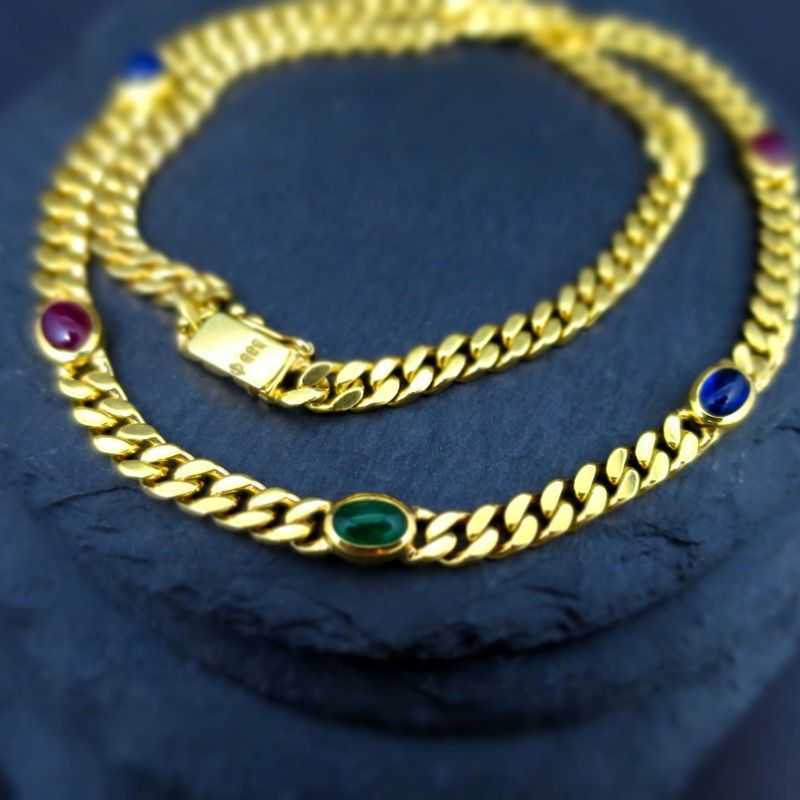 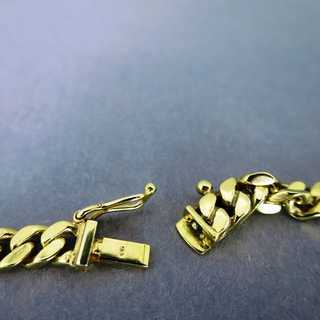 Wide stackable closure with safety clasp. 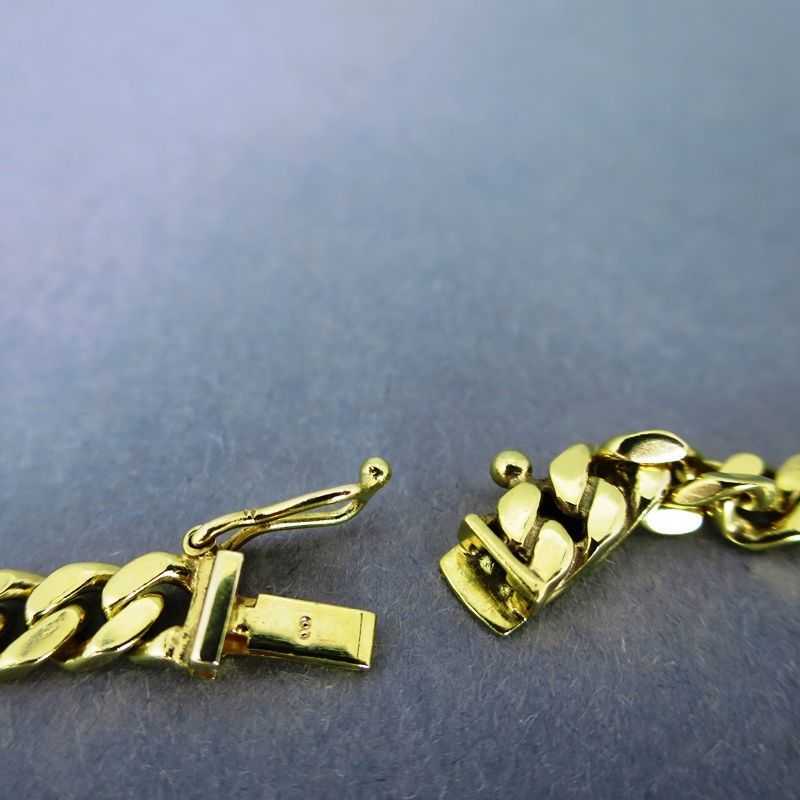 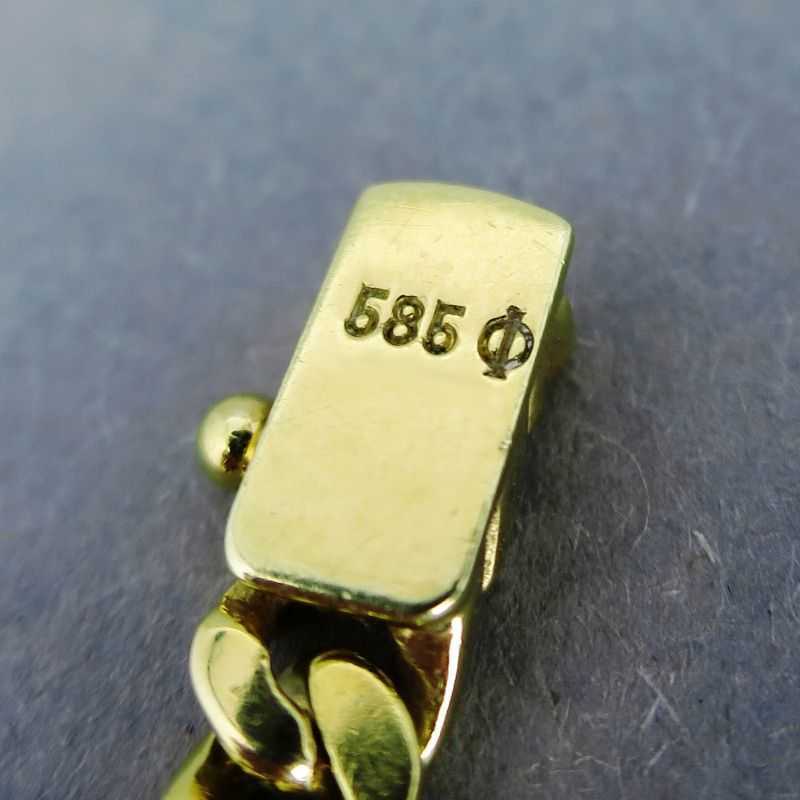 Marked with a signature of an unknown goldsmiths.